Cutture specialise in both laser cut and printed stationery, of which each of our products is designed and hand finished in our London studio. 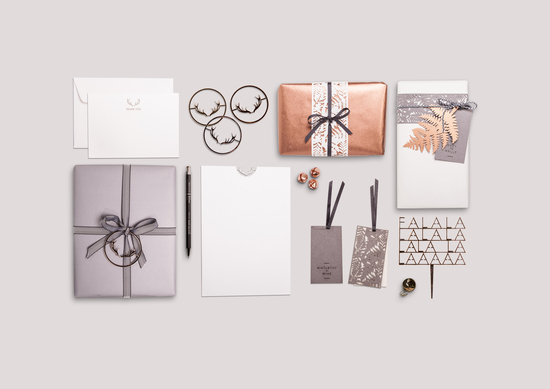 Established in 2009 by husband and wife team Dominic and Helen Sharland, Cutture was born from a lifelong love of well crafted, British made stationery. Along with their highly skilled team of designers, craftsmen and paper engineers Cutture are passionate about creating truly unique pieces. Our first range of laser engraved greetings cards was launched in Christmas 2009 and since then, through a wealth of exploration, experimentation and development, Cutture is one of the leaders in it's field. Our greetings cards and products run along side our experimentational stationery for weddings and events, which can be viewed at www.cutture.com.